Simulations are a great way for students to experience real life industry and to give relevant experiences for future employers. It helps students practice problem solving and how to work within a team, all crucial experience for future employment. Here are some examples of how simulations are used across the Business School. KV Pandya has introduced Lego into his teaching and learning practise to demonstrate theory in a creative and visual way to his students. Through a process simulation game students can highlight improvements and efficiency that can be introduced to improve processes, and learn the principles of ‘Lean’. Students run a real life restaurant simulation where each student takes a role to either work in the kitchen preparing food or in the front of house serving customers. Also one student takes the role of head chef and one, restaurant manager. These two students are required to manage their teams and design the look and feel of their concept. See below for a list of restaurant dates. 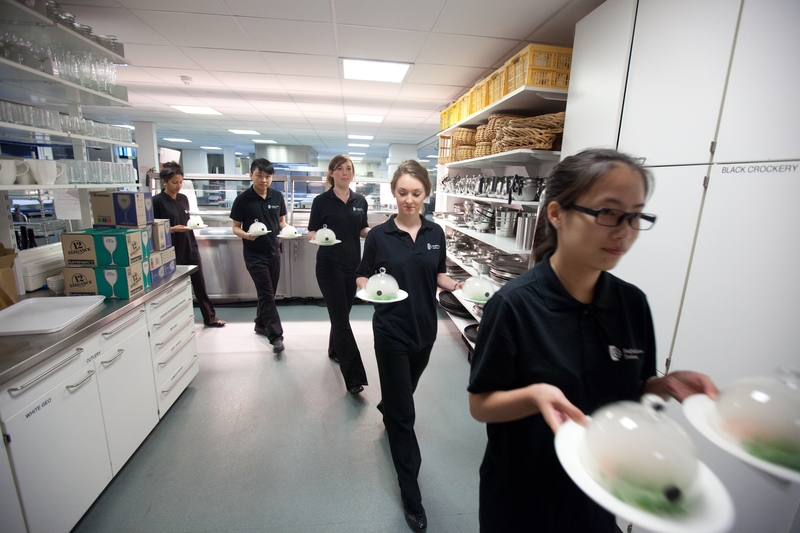 Open for Business is a simulation game for students on the Hospitality Management Applications module. This game allows students to work as a management team to undertake a range of activities including; market research, developing a business plan, taking duty management decisions, presenting the monthly financial position, preparing management reports and developing a strategic direction for the business. This requires students to use their learning from levels 4 and 5 alongside experiences in industry to make important business decisions. The Business Project Management module (Module Leader Richard Breese) uses Simventure with Level 5 Business Studies students to develop their project management skills and consequently their employability skills. Simventure is a business simulation game where the student are asked to make decisions for a hypothetical business, which makes computers, under different scenarios. To see the results the students ‘run the month’ to see how their decisions influence the fortunes of the business over time. SimVenture has recently upgraded to SimVenture Evolution. To find out more about how academics in other universities are using this, click here for free educational resources. This entry was posted in E-Learning, Innovation and tagged assessment, blackboard software, lego, sheffield business school, simulations, SimVenture. Bookmark the permalink.